Although both cars are identified by the same E-Tense label, the technology used in each is very different. The DS3 E-Tense is a fully electric small SUV, where the much larger DS7 Crossback in a plug-in hybrid. The DS3 Crossback E-Tense has a 136 horsepower electric motor linked to a 50kWh Lithium-ion battery. The range of the car is said to be 200 miles on the WLTP drive cycle, and the wallbox charger supplied with the car juices up the battery in five hours. A 100kW rapid charger will give you 80% of that in just half and hour, and delivers 5.5 miles of range every minute. Three driving modes – Eco, Normal and Sport – alter how much acceleration you get, or how much regenerative braking you get, depending on whether you want to maximise your speed or your range. The battery is stored under the floor to give a lower centre of gravity, and the weight of the battery is partially offset by weight savings of 50kg elsewhere in the car compared with more conventional versions of the DS3 Crossback. The DS7 Crossback E-Tense, meanwhile, can cover just 31 miles (WLTP cycle) on electric-only power, up to speeds of 84mph, but then there’s a petrol engine on hand to back up the two electric motors. The car’s total output from all its various power sources is 300 horsepower, and again, three driving modes – Electric, Sport and Hybrid this time – decide how the various power sources are used. Overall efficiency figures, again calculated on the WLTP drive cycle, are given at 49g/km and 128.4mpg. 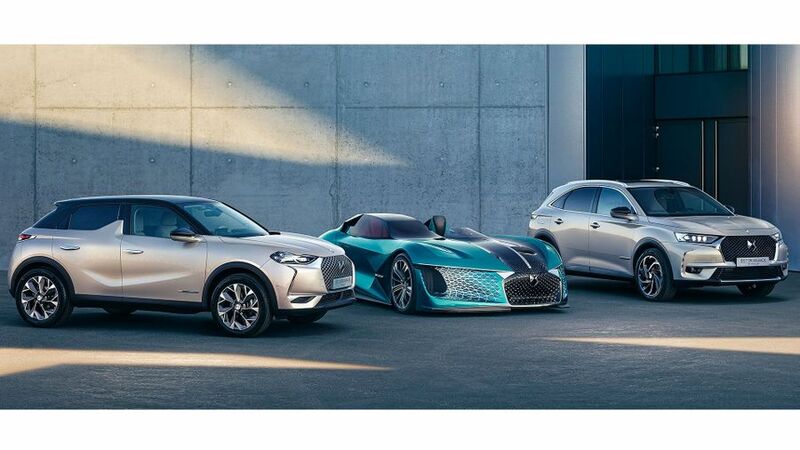 Initially, orders for the cars will open in various other European markets including France, Switzerland and Norway, but there’s no word yet on when the car will be available in the UK, or how much it’ll cost. Interested in buying a DS Automobiles ?